South Central Alaska has been labeled “the home of world class fishing” and for good reason. Randa’s Guide Service is one of the best & most established fishing guides on the Kenai River, Kasliof Rivers and Cook Inlet. 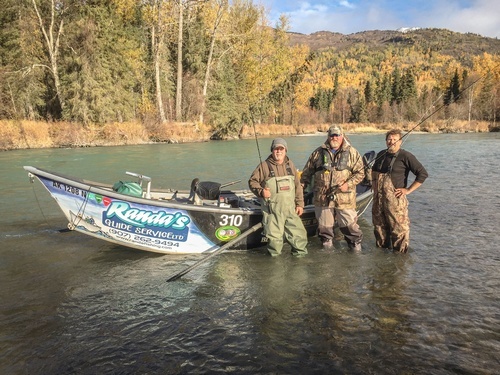 Located in the heart of the Kenai Peninsula, Randa’s Guide Service LTD is a premiere fishing guide service on one of the most prestigious sections of waters in the world. No other region compares to the Resident Trout and Salmon numbers found in this part of Alaska. This is why fly fishers around the world travel to Alaska’s Kenai Peninsula. Randa’s Guide Service, LTD is a full service fishing guide on the Kenai Peninsula, operated since 1984. Randa’s Guide Service LTD. fishing trips are set in the beautiful upper Kenai river refuge or on the serene Kasilof river. Halibut Charters are staged out in the beautiful Cook Inlet. 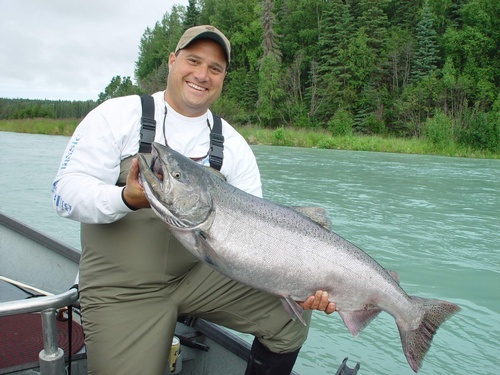 Much of the Kenai River and Kasilof river is home to the most beautiful trout, steelhead, and salmon in the world because of the natural glacial fed rivers. With the backdrop of beautiful scenery and beautiful wildlife, your trip will be more than a memory, but a treasure.